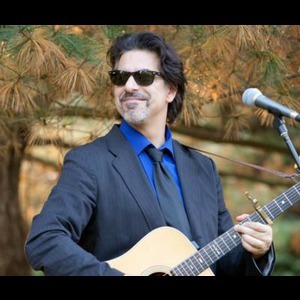 Gregg Cagno is a studied and experienced performer and entertainer. His ease of phrasing and clear, warm baritone communicates joy, wit, love and whatever else comes to mind without pretense. His guitar playing is equal parts bold and smooth, negotiating soothing open tunings and various worldly rhythms. Comfortable and warm with an audience, he's as creative an interpreter of other's works as he is his own drawing material from a spectrum broad enough to include both Joni Mitchell and Frank Loesser. Gregg is a two time ASCAPlus award winner for the folk genre. He's been a finalist in the Kerrville Folk Festival's prestigious New Folk competition and had the opportunity to open for folk/rock stars James Taylor, America & Poco. Gregg has also had the honor of playing on The John F. Kennedy Center for the Performing Arts' Millenium Stage. Greg was fabulous!! My guests ranged in age from children through 60-somethings and everyone was happy with him. Several people requested his card for future events and I heard over and over that he was just terrific. At some point during the evening dancing broke out on my back lawn. Really terrific and I can only give him the highest possible recommendation. Great performance. Totally enjoyable experience. Very talented gentleman. What a darling! First off, I decided to bid on Gregg since he seemed to be the only musician with a good sample page, and one with some guitar skills and a nice voice! The whole process was so easy and great! I hired him for my wedding. I had some trouble planning the whole event, and Gregg was incredibly patient and followed up with me in a timely way. He made me feel like I wasn't putting him out although I only gave him less than a week to prepare two custom songs (which he nailed!). The day of the wedding was a complete mess, but when I managed to come out of my suite dressed, Gregg was entertaining the crowd and setting the mood. He is wonderful. LOVE his voice. LOVE his song list. LOVE Greg! Greg played at the perfect volume for our outdoor party. Every guest raved about him. His singing really made the party perfect. Thanks Greg! Gregg is a great personality and a wonderful talent who did a fantastic job with our event. He played some previously selected songs for the honorees and also coordinated "Here Comes The Sun" with our nephew accompanying him on guitar and our niece singing. The music from Gregg had a great flow and kept everyone wanting more. 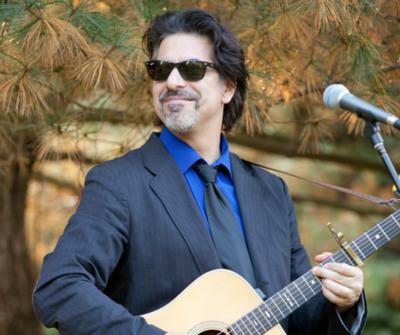 We would recommend Gregg for any type of performance as his voice and charm are extraordinary. Thank you for making the 50th Anniversary Party that much more special. 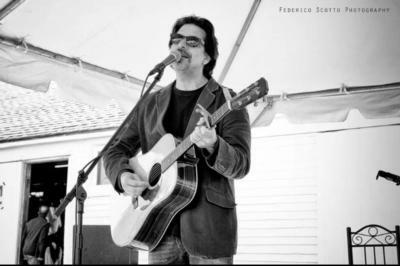 Please note Gregg Cagno will also travel to Langhorne, Trevose, Bensalem, Bryn Athyn, Feasterville Trevose, Huntingdon Valley, Beverly, Croydon, Holland, Abington, Cheltenham, Jenkintown, Levittown, Riverside, Riverton, Bristol, Elkins Park, Hatboro, Palmyra, Richboro, Warminster, Willow Grove, Wyncote, Burlington, Glenside, Willingboro, Dresher, Fairless Hills, Horsham, Moorestown.